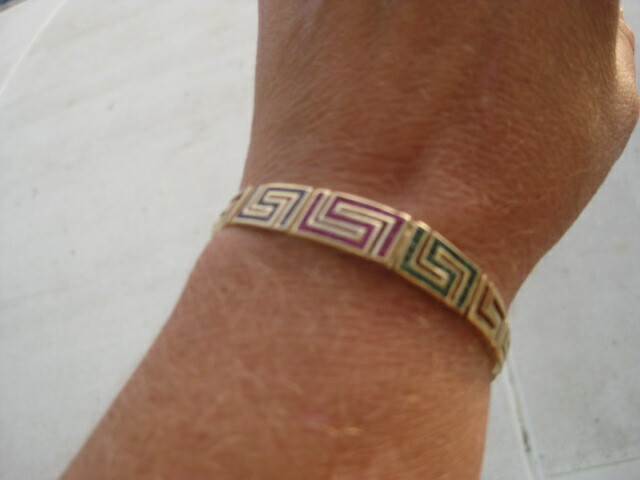 I like jewelry – but I rarely buy any, so how did I end up with a very special piece of jewelry from Santorini? 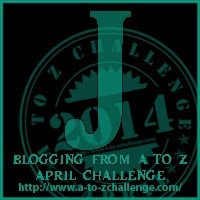 The same way I find myself in many strange situations when I travel – I got lost! 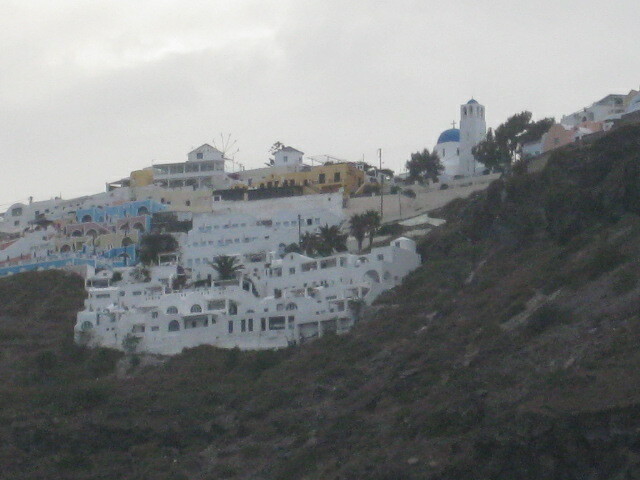 The village of Fira, on the island of Santorini, lies atop a steep cliff that plunges into the sea. 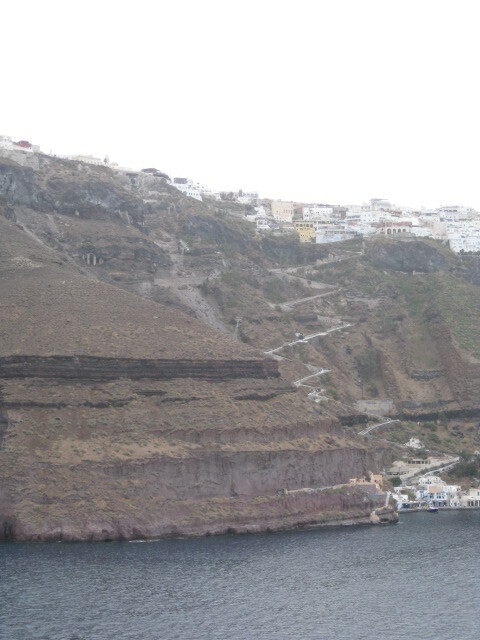 At the bottom of this cliff is a pier where the cruise ship tenders dock. 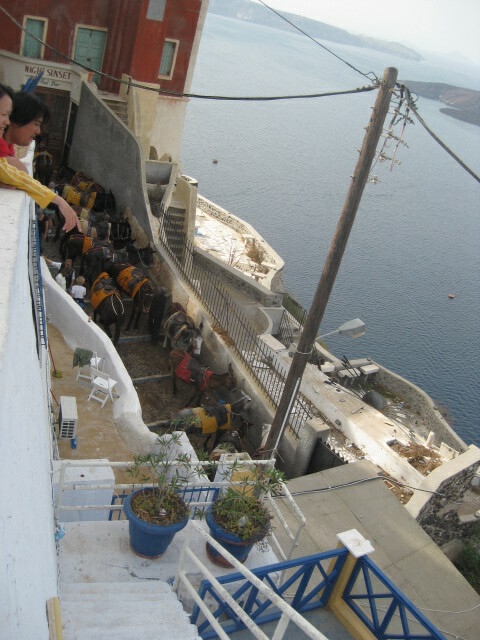 There are several ways up the cliff – cable car, steps, or donkeys (walking the steps). The village is not very big – and there are maps when you get off the cable cars. I am usually good at reading and understanding maps. That does not mean I will not get lost! 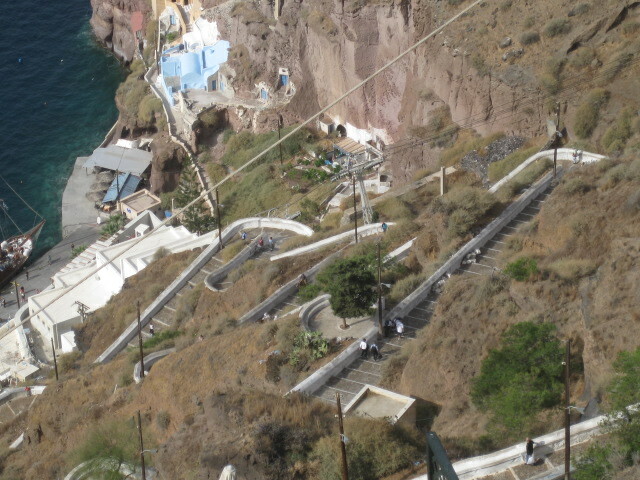 Fortified with wine, I decided to walk down the 580 steps from the top of Fira to the pier. 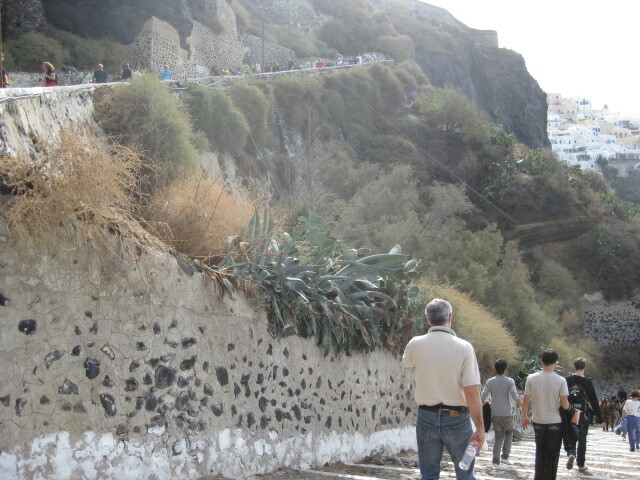 I forgot a few things: my knee, the donkeys, and 580 stairs. Sometimes my knee hurts going down stairs. 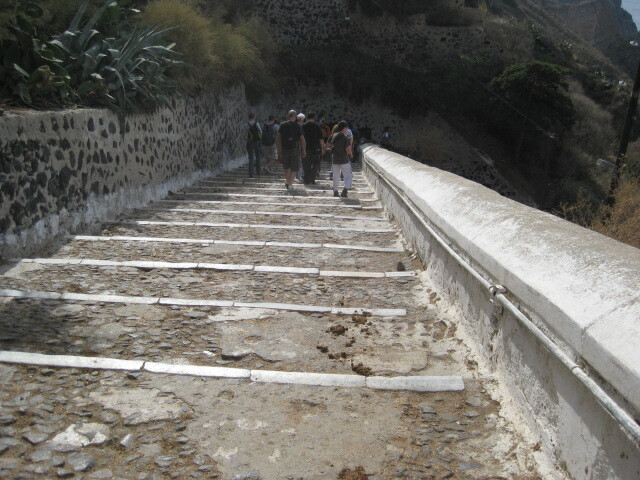 So walking down that many steps, no matter how “easy” might not be in my best interest. but I forgot about my knee and headed off! Taking the stairs — see others can do it! 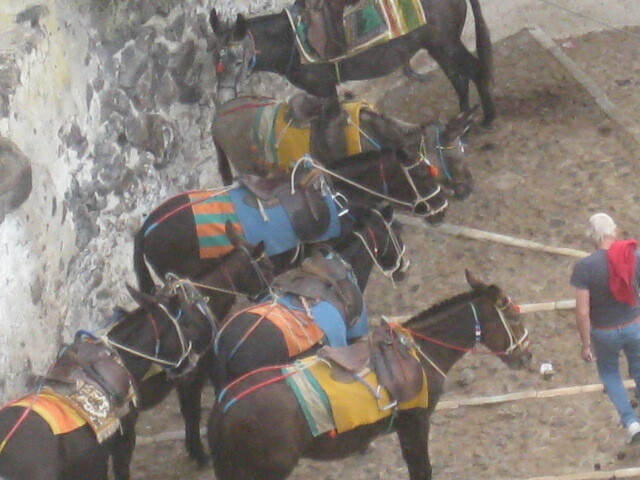 Then there is donkeys – lots of donkeys. 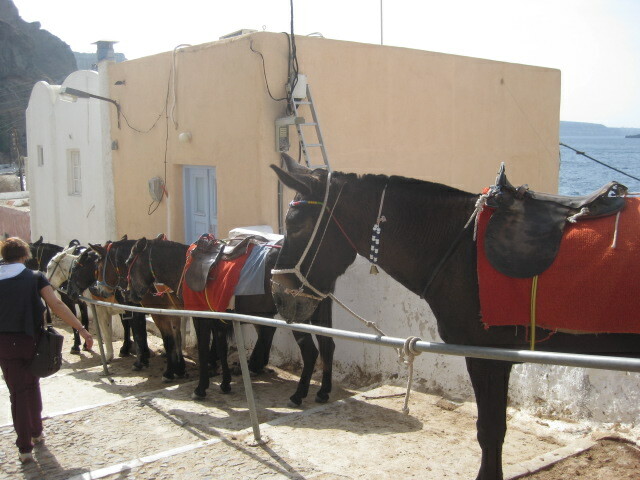 Donkeys standing in the sun with blankets and saddles do not smell nice. 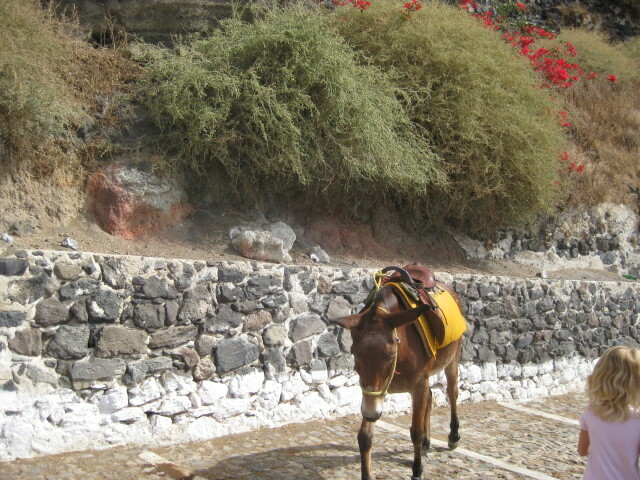 Donkeys do not use a “litter box”, so, while the steps are generally easy, you had to watch where you stepped to miss the “presents” left behind! Donkeys also have the right of way. They will not walk around you; they will walk right up to you, expecting you to move. They are not timid or shy! 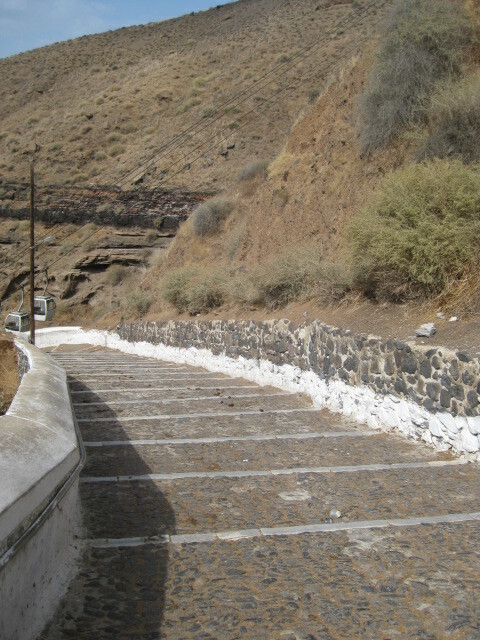 And lastly, there are the steps – 580 of them – and I was a little tipsy form the wine and my purchase. Once you start down this path, you really do have to finish it — there is no way off when you reach the half-way mark. 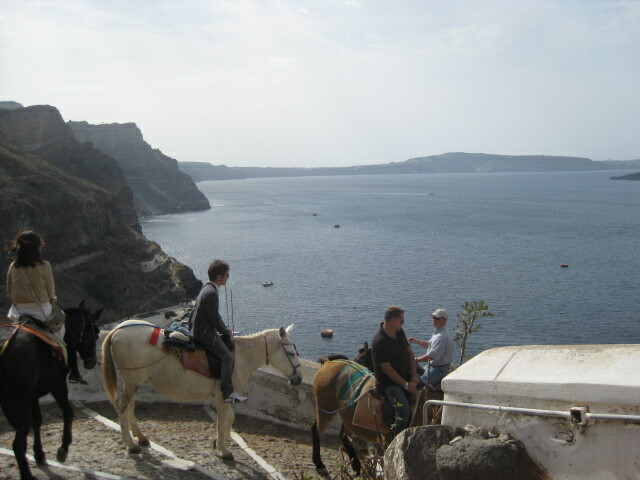 I walked down the stairs, watching where I stepped and dodging the occasional donkey. I stopped a few times to rest and take photos I would not have gotten any other way (a bonus!). 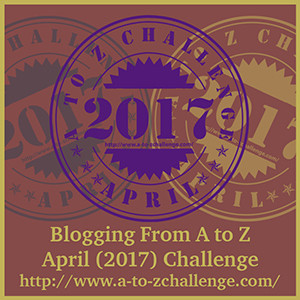 580 steps … and I finally reached the pier, new bracelet in hand and a story to tell. 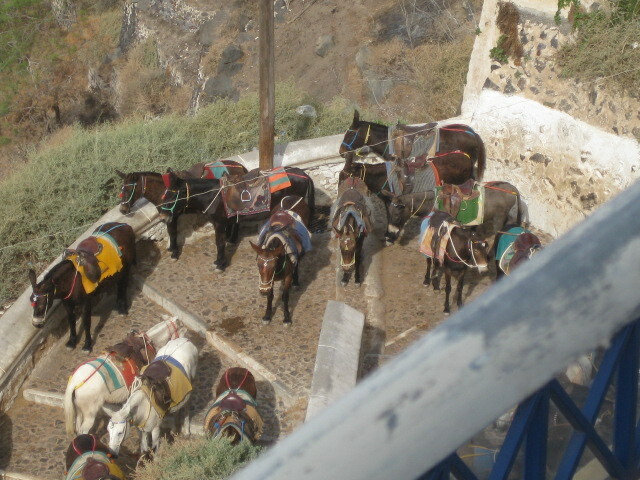 And more donkeys on the stairs — but the view is great! Donkey heading straight for me! Moral of this story is that sometimes you need to get lost, make interesting decisions and see where the paths lead. That and I can walk down 580 steps, wearing a shiny new piece of jewelry and live to tell the tale! 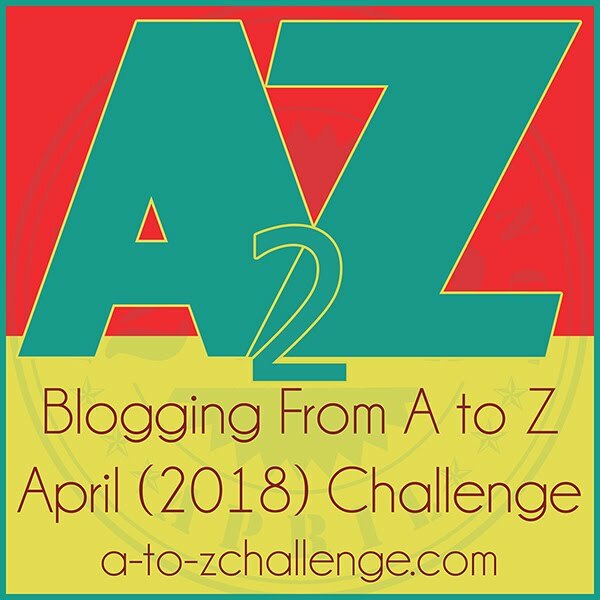 The bracelet that started this tale!